The 1976 NCAA football season belonged to University of Pittsburgh senior running back Tony Dorsett, a born-and-bred Western Pennsylvania freight train with more explosive power in his 5’11” frame than all the steel mills dotting the banks of the Allegheny, Monongahela, and Ohio Rivers. 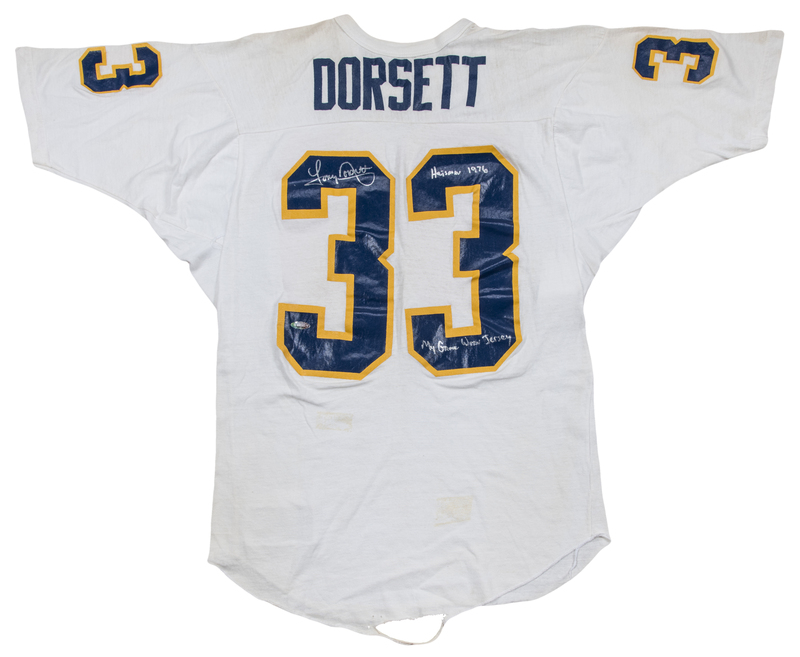 Dorsett was Pitt’s all-time leading rusher by the third game of his sophomore year, a transcendental talent who lifted the entire Panther program across his broad shoulders. The year before Dorsett came to Pittsburgh the Carl DePasqua coached team finished 1-10, in the bottom of the NCAA cellar. With the arrival of new head coach Johnny Majors and the Hopewell High School legend, Pitt improved its record to 6-5-1 in Dorsett’s first year on the squad. By 1976, Pitt was one of the best teams in the country, opening the season with an emphatic 31-10 road win over (11) Notre Dame in South Bend. Dorsett rushed 22 times for 181 yards and a score in this game, setting the tone for a season that would culminate in a national title for the Panther’s and a Heisman Trophy for Dorsett’s mantel. The future Hall of Famer bulldozed his way to an outstanding 2,150 rushing yards in the 1976 campaign, peaking with a single-game high performance of 241 yards in a hard-scrabble 23-13 victory over a surprisingly rigid Syracuse defense. Pitt’s regular season ended with a 24-7 smackdown of their in-state rivals, the Penn State Nittany Lions, that saw Dorsett steamroll Joe Paterno’s outgunned defense to the tune of 224 rushing yards and two touchdowns. With a bow wrapped around a perfect regular season, all that remained for Pitt was a Sugar Bowl matchup against (5) Georgia. In an attempt to stuff Dorsett, the Georgia defense neglected the Pitt passing game, and their own offense, as the Panthers strolled to a 27-3 victory. 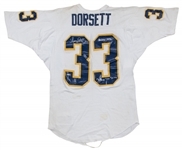 It was Dorsett’s 11-yard touchdown run that gave Pitt an insurmountable 21-0 lead and the 1976 NCAA Football National Championship, the ninth and most recent in Pittsburgh Panthers history. Dorsett finished the season with 2,150 rushing yards and 22 rushing touchdowns as he ended his career with eye-watering totals of 6,526 rushing yards and 63 touchdowns from scrimmage. Dorsett, soon to be the second overall pick in the 1977 NFL Draft, ran away with the Heisman Trophy in 1976, reeling in 701 first-place votes to 73 for the second-place finisher, USC’s Ricky Bell. With a Hall of Fame pro career waiting just around the corner, Dorsett left Pitt as the king of one of the most historic football programs in NCAA history. 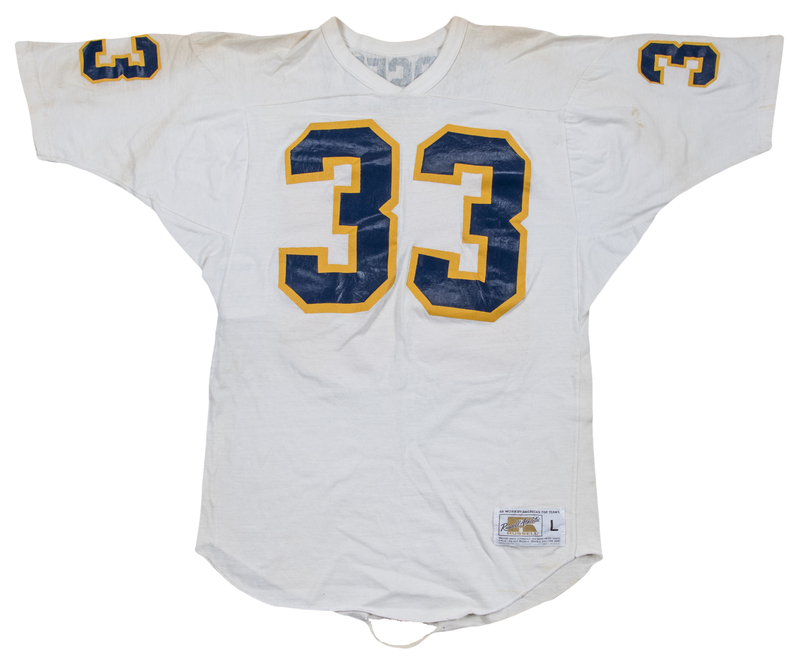 This offered Tony Dorsett Pittsburgh Panthers road jersey was worn by the legend during his historic and Heisman-winning 1976 season. This jersey is white, with Dorsett’s number “33” applied to the chest, back, and sleeves in blue and yellow numbering. 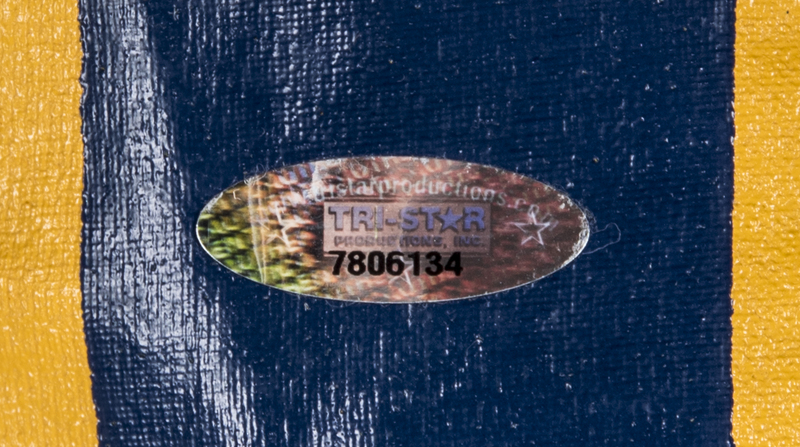 “DORSETT” is printed across the back shoulders directly to the jersey in blue lettering. 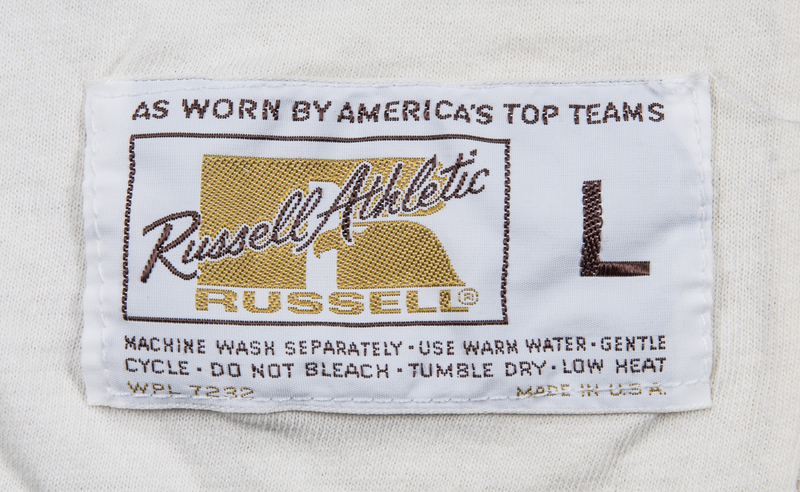 A Russell Athletic size “L” tag is sewn on the front left tail. Dorsett has signed the first “3” digit on the back of the jersey in silver marker. 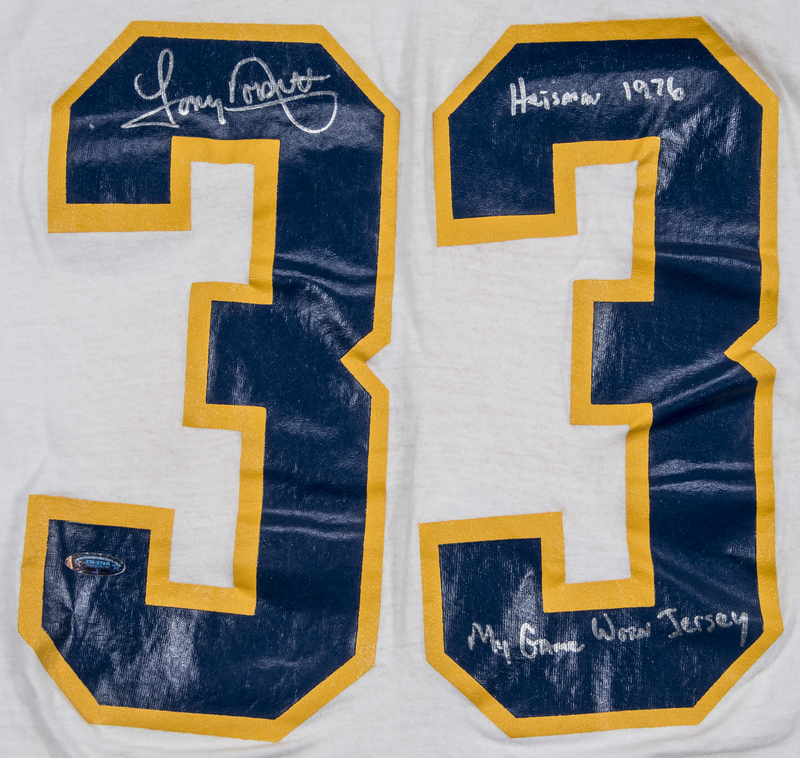 On the second “3”, Dorsett inscribed “Heisman 1976” and “My Game Worn Jersey”, also in silver marker. 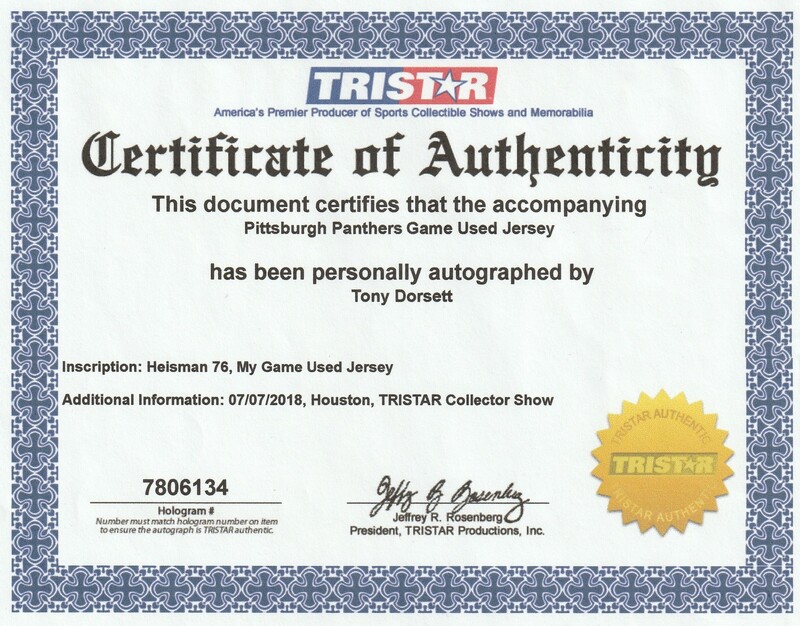 Dorsett’s autograph comes with a COA from Tristar “7806134”, while a LOA from MEARS covers the jersey’s game use. 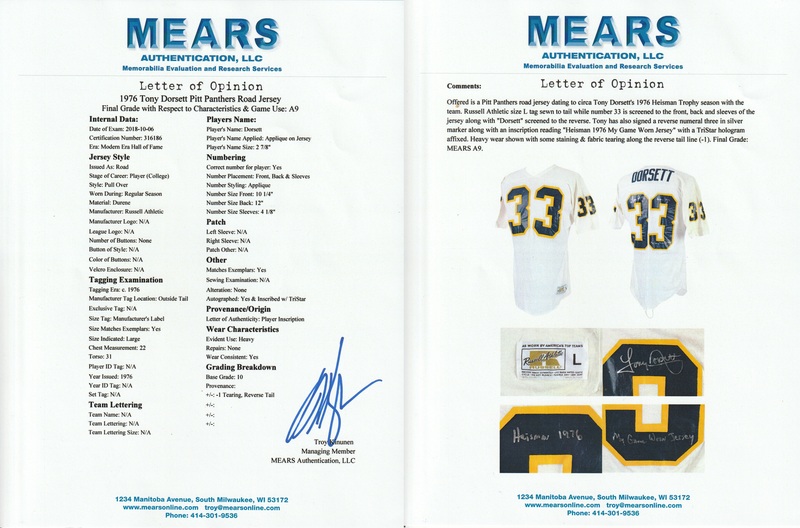 MEARS have graded this jersey a near-perfect A9, with the only subtraction coming from the small tear on the back of the jersey from the era of "tear away" jerseys where very few survived. 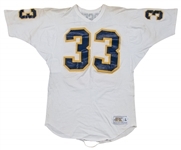 The combination of being a rare college jersey and its overall good condition makes this unquestionably one of the finest Tony Dorsett Pitt gamers to ever hit the market, and it would instantly become the crown jewel of any credible memorabilia collection.